The English Faculty would like to offer our congratulations to PhD Student, Hunter Dukes; this year’s national first-prize winner of the British Association for Irish Studies Postgraduate Essay Competition. The competition is open to graduate students researching topics in Irish Studies across all disciplines. Ms Dukes attended an awards ceremony hosted by the Irish Ambassador, Daniel Mulhall, at the Embassy on 8 June. 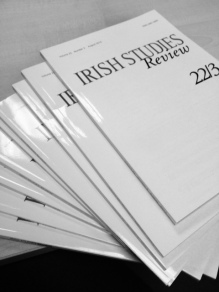 The winning essay, titled ‘Samuel Beckett and the Fantasy of Lithic Preservation’ will be published in a forthcoming edition of the Irish Studies Review. In addition Mr Dukes will receive a book stipend from the Cambridge University Press.